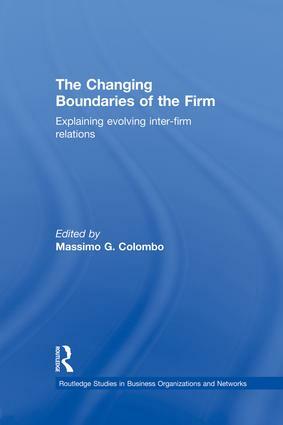 This book offers a distinctive analysis of the relations and interplay between the internal activities of firms, their changing boundaries, and increasing reliance on networks and alliances with other firms. The contributors offer a blend of theoretical and empirical studies; they are based on a set of related perspectives in modern economics, including transaction cost economics, competence and resource-based theories of the firm, evolutionary economics and the theories of foreign direct investments and the multinational enterprise. The unifying concern shared by the different studies is the need to model firm behaviour and inter firm cooperative activities in terms of knowledge growth and competence building rather than merely in terms of cost-reduction; they emphasize learning processes and dynamic efficiency rather than efficient allocation of given resources.